Will it be available in any other colours? 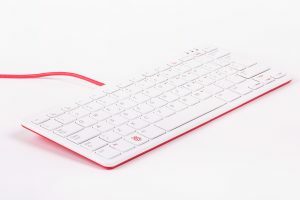 The keyboard and mouse are currently available in white and red and there’s a black and grey one making its way to sellers soon. Some already have it in stock, so check your favourite approved reseller to see if they do. There are OTG cables with micro USB in each end (one end is host), but they are short. 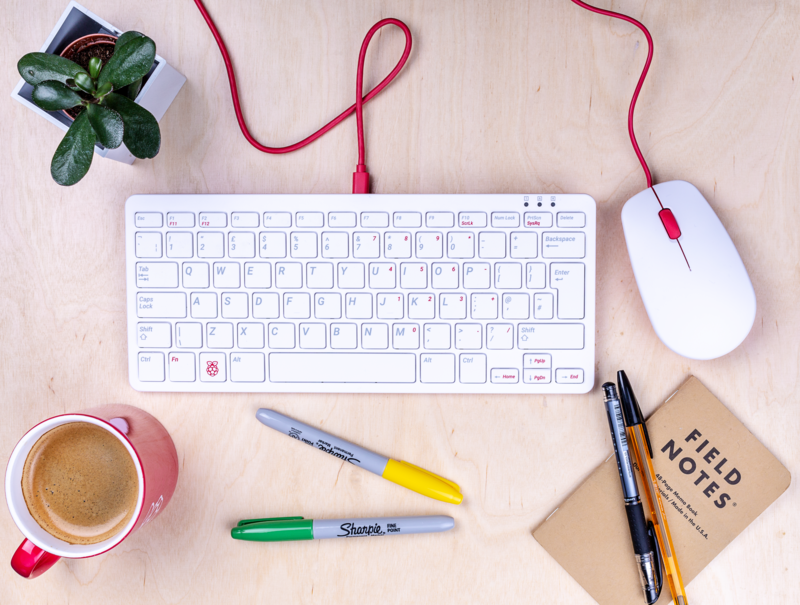 One would need a long such cable in the keyboard cable color. 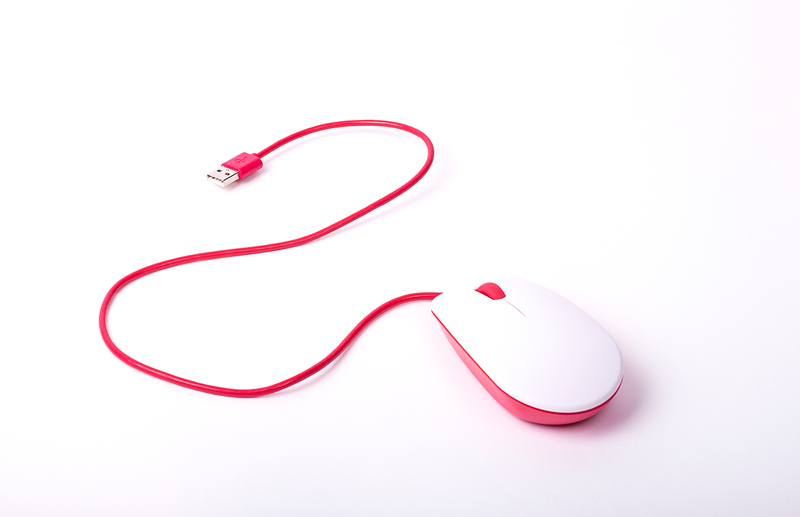 Then one can connect the mouse to the keyboard’s USB hub. Sure, connect the keyboard to the zero and the mouse to the keyboard. Great, where can we buy (I don’t found the keyboard in your shop) and how much? Click on “get ’em while they’re hot!” right at the top of the post. Good spot! We’ll get that video edited. Alex, don’t worry, it’s quite normal for people’s non dominant hand to type with a single finger like that. This is where you now say your a South paw (lefty) isn’t it? It is?! That’s okay then. I’m a…north paw? 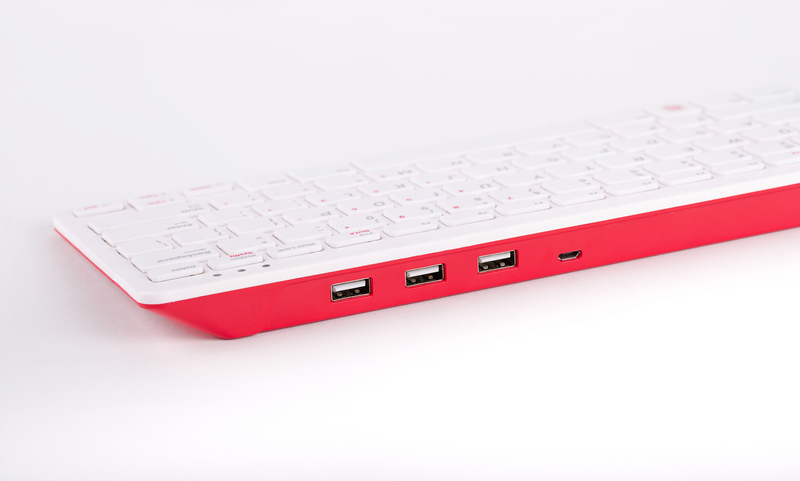 So the keyboard is also an USB hub! Nice! It will use just one USB port, so you can use keyboard and mouse with a RPI Zero. 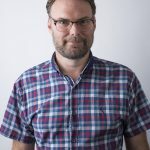 More layouts are coming – give us some time! The Nordic keyboard layout is actually three keyboard layouts, so autodetect would be difficult. Sweden and Finland have the same layout, but Norway and Denmark have different. Æ/Ä and Ø/Ö are switched on the Danish layout compared to the others, and | and \ are at different positions on all three layouts (on the keys left of 1, Z, and backspace). Sweden and Finland use Ä and Ö instead of Æ and Ø.
Nordic Layout is the worst idea ever!! Just trow the keys in a bag, I would rater assemble it myself than having to hit the wrong keys all the time. only thing worse would be american style enter & backspace keys. Keys in a bag is not a bad idea because then you could get keys for all languages and one would not need to have different versions. The local dealer could help with assembly for those that can’t assemble themselves. Is it possible to remove the keys? Finally! When I switched from ZX Spectrum to Amiga in the mid 90’s, I always wondered why it is so difficult to autodetect keyboard layout. When they can fit different key-tops, why can’t they just make some kind of coding that the software can read? They could use different combinations of mounted and unmounted zero-ohm resistors, or something. At that time the Amiga was booted from a floppy. If you changed the settings on one floppy to use the correct keyboard layout, it was wrong again when you booted from another floppy. It’s amazing that a small, low-cost computer can do magic that much bigger and much more expensive computers can’t! Pity you don’t offer a three-button non-wheel mouse. I have *real* trouble with wheel mice, as they murder my RSI. Thank you! This was my biggest request when the store opened. They look so lovely. I’m actually a little disappointed that this isn’t a case for a raspberry pi that’s also a keyboard. The USB hub inside the keyboard is nice though. Guess it’s time to break out the 3d printer. These look great, can’t wait to get one. Do you know if Micro Center in the US will be carrying these? Will it be possible to have BÉPO disposition ? This look like amazing ! Good job and idea ! Oh, it even comes in American. If the little plastic cross pieces stabilizer have cutouts for Raspberry pi zero, and that the back of keyboard backing has outlines to drill holes, then it’ll be relatively easy to open up the keyboard and install a zero inside. 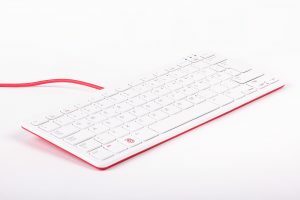 If the keyboard is just a little bit wider, and convenient connection is available on keyboard pcb, then even installing 3B+ model would be easy. 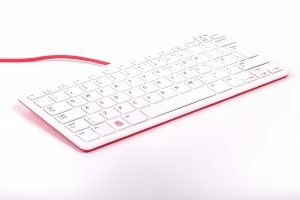 I think the next version of the official Raspberry Pi keyboard should be constructed so that modifications would be easier. E.g. the circuit board should have lots of solder pads or possibility to solder on pins for internal USB etc. and the box, prepared cutouts for the connectors. Indeed, this official combo set without the ability to build a raspberry inside is just a bad overpriced and late aprilfool. But wait…let me buy this. What I would really like is an all in one solution that puts the Raspberry Pi in the same box as the keyboard, just like the 8-bit machines (Sinclair Spectrum, Acorn Electron etc.) did back in the 1980s. Wired is little old school don’t you think? My pi has a wireless Logitech and uses only one port. Not all Raspberry Pis have on-board wireless or Bluetooth. 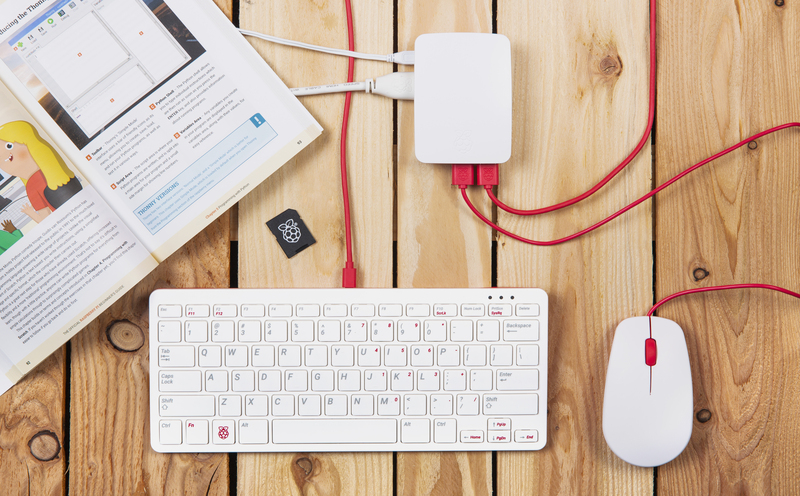 We want everybody who owns a Pi to be able to use the mouse and keyboard! Will there be a Russian layout keyboard? Do they make a nice loud click or clunk? Could not hear over the music. Rat’s saw that link with the Zero in the keyboard. Oh no it can be down with a 3A+. I will need at least 3 keyboards, hope there is no minimum order? Can we have a 3A- model please, one without the connectors? What is that missing chip on the PCB? Can Fn+Z on the US keyboard work as the key left of Z on the other keyboards? (The US keyboard seems to have one less key.) The Z key works like this on my Eee PC 900 with Nordic keyboard layout. The official Raspberry Pi keyboard doesn’t have Insert. Is there a way to type Insert using e.g. Fn+Delete? It doesn’t have the menu-key, but I can get that function by pressing Shift+F10. Fn+Ctrl-Right could perhaps be the menu key, or Fn+Alt-Right. That’s great. And in addition a USB hub on board. Is it also fully compatible with any PC under windows ? Look nice matching the Pi case. Are the keys back-lit? It’s a must for my own preference. I have one, mouse too. Love them. I have things I’d like different but I got what I paid for. Keep up the good work and wear a flame proof suit. the manufacturing you might just start a UK revolution. 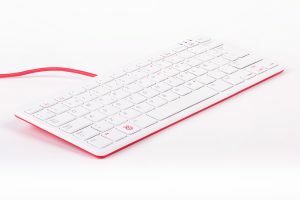 Whatever became of the original Raspberry Pi keyboard that was all white and only available with a kit? In the wireless world today, I was hoping for a Bluetooth interface. Sounded like you have a English (UK) version keyboard, but your keyboard layout setting is on English (US). So, if you are running Raspbian, go to “Preferences > Keyboard and Mouse > Keyboard > Keyboard Layout” to change the layout to the “English (UK)”. 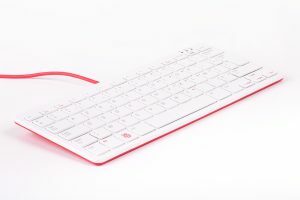 Can this keyboard and mouse be used with passive USB to PS/2 converters in order to use them with computers that only have PS/2 ports? Too much space given to Caps Lock; a key that’s hardly used. Ctrl should be in its place. The Escape key is half space and that’s wrong for a keyboard intended for Linux use. 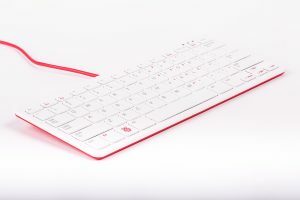 Looks like a keyboard aimed at a Windows laptop user. Happy Hacker keyboards show how the layout should be done. A missed opportunity.